Moisturizes skin for optimum hydration while providing an immediate plumping effect. Reduces appearance of fine lines and wrinkles. Increases collagen and elastin production. Improves skin firmness to reshape face contours. Leaves skin smooth, supple and radiant. 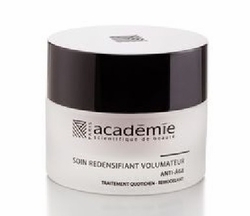 The ultimate anti-aging and youth-enhancing skin treatment! You do not have to look old and tired . . .
Defy aging and the laws of gravity . . . Adapt this wonderful beauty prescription to anti-aging! - Improved skin firmness and reshaped facial contours.